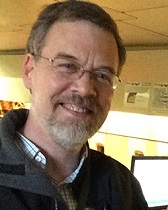 Professor Novak works in observational astrophysics and astronomical instrumentation. His research group is currently contributing to three instrumentation projects: called HAWC+, BLAST-TNG, and TolTEC. All three are aimed at key questions in star formation research: What sets the rate at which new stars and planets are born? What factors determine the masses of stars and the properties of the associated planet-forming disks? To learn more, please visit the Novak Group page. P. C. Ashton et al. L. M. Fissel et al.